DVRS record video captured by analogue cameras. What the analogue camera lacks is complemented by the dvr. 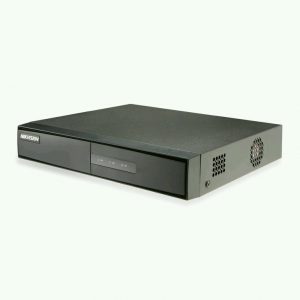 Features like line crossing and alarm management are configured in the dvr. Playback and video capture is also done from the dvr. We have two kinds of dvrs. one that supports 720p cameras and the other that supports 1080p cameras. Most of the 1080p dvrs can also support 720p cameras. Most dvrs are hybrid in nature, in that they can take in two or more ip cameras. for instance, a 16ch hikvision 1080p dvr can support 8, 2mp ip cameras. Network Video Recorders hold and process information captured by IP cameras. although mos cameras can be standalone, their onboard storage cannot store much information. the Nvrs have a capability of holding 32terabyte harddisk. this is alot of space with can cover several months storage. They also have alarm feature which might not be available in some models of IP Cameras.